Windows Presentation Foundation (WPF) is a newer version of Microsoft’s Windows Forms product. 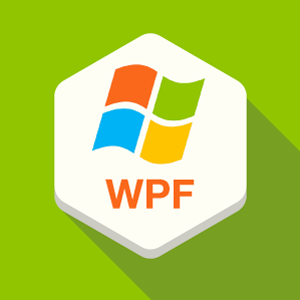 What is WPF used for? Windows Forms has been around for as long as the .NET product, and arguably the most popular Windows Desktop application development since Visual Basic 6. WPF provides much needed upgrades to the Windows Forms user Interface (UI) and also provides some specific programmatic advantages. It is not too difficult for someone who is competent in Windows Forms to upgrade their skill set to WPF as most of the code is similar. It doesn’t matter whether you are comfortable in writing C# or VB.Net applications. The big difference is in the added flexibility and improved visual aspects of the interface. It all adds up to creating more engaging application in a shorter period of time with much less effort and coding. In WPF objects are easily rotated, sized, scaled and skewed without any code. WPF also offers the ability to create Storyboards. In short, Storyboard allows you to create real-time animation on the objects, for example, move, scale, rotate, change the color etc. over a time period. One other major advantage the WPF has is the ability to create applications that are screen resolution independent. Your application will look just as nice on 600 x 800 as it does on high definition without having to rebuild you application. 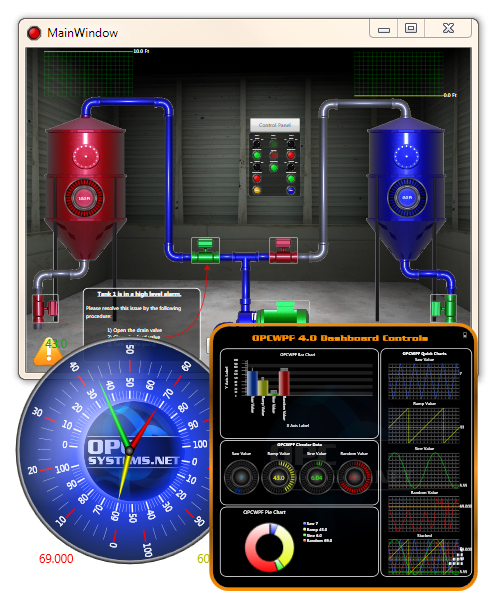 WPF is a great choice for HMI and SCADA applications. Sure you can have an HMI or SCADA system based on Windows Forms, but if you are looking to do more than static images and text, WPF in a far better platform. Like to know more about our WPF .NET product? Open Automation Software offers a 100% managed WPF assembly to build live data dashboard applications using Visual Studio or Microsoft Blend with no code required. To learn more about our WPF HMI.NET product contact your OAS Sales Representative toll free in the US on 1-800-533-4994 or for international enquiries call 1-303-679-0898.